This sweet potato chorizo skillet is a simple meal option for breakfast or dinner. Hash is what’s for dinner when you’re cooking for one. In my case, it was chorizo and sweet potato hash, but any variety will do. Hash is a not-so-fancy way to say fry up some potatoes and onions in a pan together. Generally meat is added, but its not a requirement. Also not a requirement, but makes and excellent addition is cheese. I mean, c’mon, you can’t go wrong with cheese ever. Come to think of it, a lot of what I eat is throw-it-together-in-a-skillet-then -devour. I guess you could say its my “cooking style” Ha! What I’m trying to accomplish at meal times is the killing of hunger, while consuming something tasty and nutritious. Yes, I like to bake pretty cakes, and cook up fancy meals every now and again, but generally I like my meals pretty light. I’m less luxury dining and more of a hash gal. I think that may have been my nickname in college……. This sweet potato and chorizo hash is a great option when cooking for one or two because sweet potatoes are perfectly portioned. Everyone gets their own. 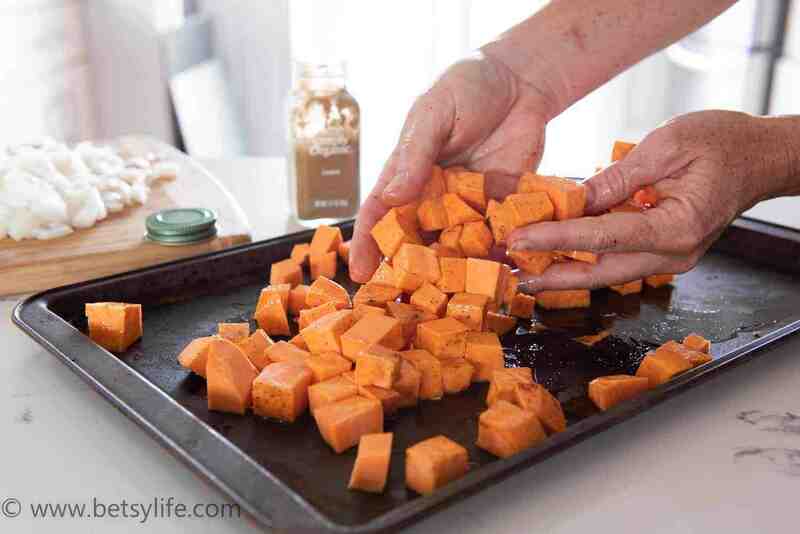 Sweet potatoes are pretty darn versatile, and highly nutritious to boot. We have become close friends lately as The Hubs has been gone quite a bit. If you cook for one frequently, you should also get to know eggs. Eggs are another awesomely healthy and pre-portioned ingredient. One of my many life motto’s is “everything is better topped with an egg”. 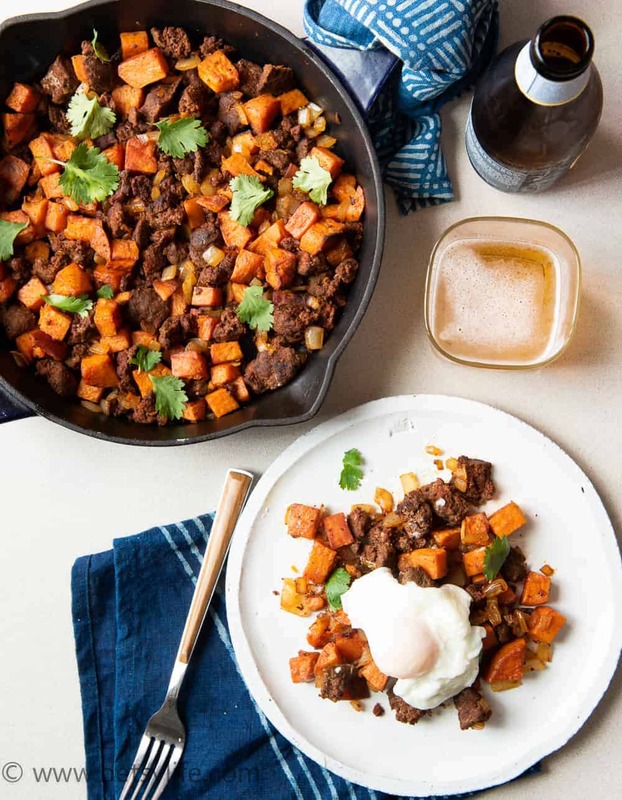 With all that in mind, this chorizo and sweet potato hash is pretty much a single person’s dream meal. It definitely is a new favorite of mine. It’s also a great option when The Hubs is home because you can make as much or as little as you want. Plus, added bonus; it’s easy enough that he can make it himself! Victory! There’s nothing better than having a recipe that the whole family loves and isn’t so difficult that someone can’t whip it up at the drop of a hat. What are your go-to quick and easy family meals? Is there something that even your kids can make that the whole family loves? Leave a comment below and tell me what you’re making that is insanely simple and delicious. As always, if you decide to give this sweet potato and chorizo hash a go, post a pic online and tag me @betsylife on Facebook or Instagram so I can share your creations. 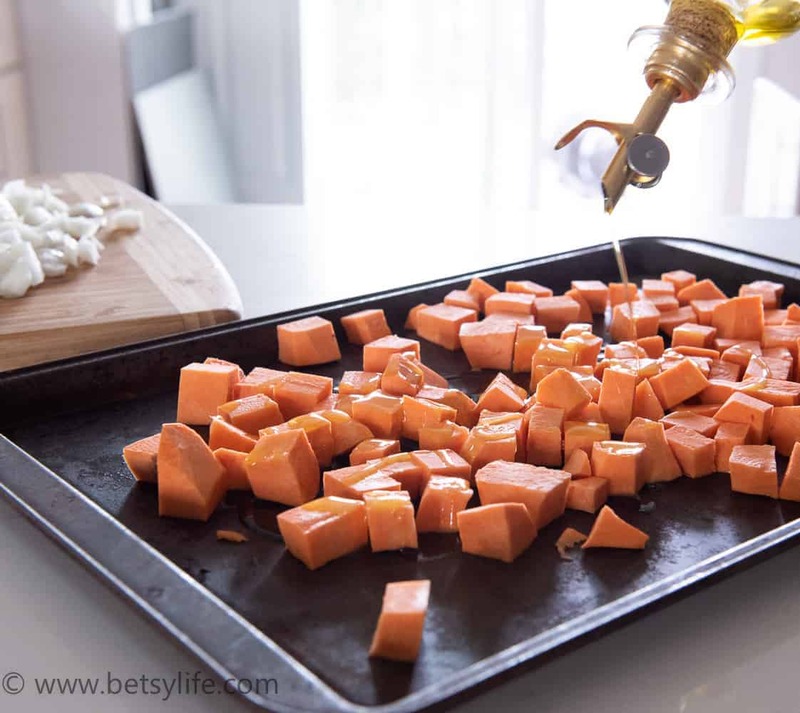 Toss sweet potato cubes in a bowl with the olive oil, salt and pepper, chili powder and cumin. Spread them on a cookie sheet in a single layer. Roast for 25 minutes until they begin to soften. Meanwhile, brown the onions and chorizo in a pan. Stir the potatoes into the pan with the onions and chorizo. I made something similar but with soyrizo and put it in a tortilla and it was pretty good! However, I boiled my sweet potatoes before frying them but I think roasting them sounds like much better flavor, and I love eggs on anything so that sounds delish. This looks great Betsy! I’ve been looking for some new breakfast recipes. Especially ones that are Paleo-friendly (this qualifies). Just made this and it was delicious! I garnished it with a little bit of pepper jack cheese which gave it a nice extra kick! Will be making again! Thanks for sharing! I’ve made this recipe twice now and I love it! Such a great combination of flavors. And even better, both my husband and son like it. So I’m definitely adding it to our regular rotation. Thank you! Hi! Is this recipe appropriate for meal prep? If so, is it just to go in the fridge for a couple of days or can it be frozen and reheated? it can, be although it might get a bit greasy if it sits for a while. Instead of Mexican chorizo I would maybe try a smoked sausage or a longaniza. If you do try with chorizo please let me know how it holds up!